In these multi modal times of consuming music from across the globe, it is refreshing to keep an eye on what is happening on your local doorstep. 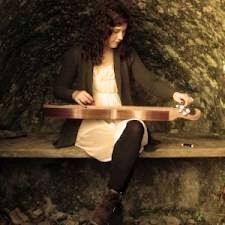 So amongst the many artists from Austin, Nashville and all points in between featured on this site, the career of Stourbridge based folk singer Kim Lowings has been closely followed after discovering her last year. 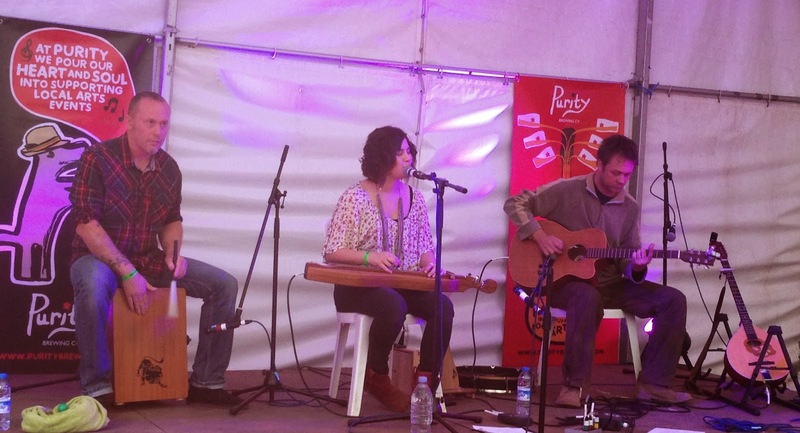 Since this introduction, Kim and her assembled band known as the Greenwood have played many gigs, both local and further afield, but they regularly return to Katie Fitzgerald’s pub as guests of the local folk club. With a growing catalogue of traditional and original songs, the band can comfortably play a pair of 45 minute sets in a style that successfully blends a contemporary and classical folk stance. Kim has a trio of recordings to her name and the brace of sets performed this evening drew on material mainly from the recent EP DEEPEST, DARKEST NIGHT and the full album THIS LIFE released in 2012. However there were a couple of new original unrecorded tracks aired during the evening to suggest that a future release may be under consideration. Once again Kim used personal experience as the inspiration for her song writing with ‘Monsoon’ having its origin from a trip to Singapore while ‘Willow’ was written to convey her thoughts to a close friend. The latter is backed by a new online video and was one of the highlights of the evening. Of her recorded originals which were featured during the gig, ‘Deepest, Darkest Night’ is probably the strongest song, although the live performance of ‘Off to Sea’ possibly shaded it on the evening. ‘The Allotment’, which was promoted via the Fatea Magazine showcase last year, is always an enjoyable song to hear, while the instrumental ‘Alfrick’ allows for the musicianship skills to take centre stage. The eye opening instant appeal to Kim’s music is her beautiful vocal style which delivers each song in a semi classical neo-folk manner. This is closely followed by the intrigue and mystique emanating from her choice of instruments – mountain dulcimer and shruti box. Yet there was a special segment at the beginning of the second set where Kim ditched all band instrumentation to elegantly sing a solo version of ‘By the Shore’ and just her own instruments to cover The Be Good Tanyas ‘Littlest Birds’. This was followed by an interesting switch in style to move into jazz mode when singing ‘I See Right through You’ to provide a little food for thought to possible future diversions from the world of traditional and contemporary folk. However Kim is presently rooted very much in world of traditional song as exemplified by the opening number ‘Devil and the Ploughman’ and the jolly sing along pre-encore closer ‘The Begging Song’. Other songs of note during the evening were a version of the American traditional classic ‘Shady Grove’ and a fine rendition of ‘The Parting Glass’ to bring the curtain down on the show. At this point her band, Andrew Lowings (bodhram, bouzouki, guitar), Tim Rogers (cajon) and Dave Sutherland (double bass, backing vocals), had departed to allow Kim the sole honour of closing the evening. Since first coming across Kim Lowings when supporting fellow accomplished singer-songwriter Jess Morgan at this same venue last April, each of the three subsequent performances witnessed have confirmed the talent that is within our midst. She has a string of live dates lined up throughout the summer and onwards, with hopefully the intention to keep writing and interpreting new songs to one day, be in a position to add to her catalogue of recordings.